The elegant 2017 “Savanna DL” European awning. Following on from the success of the previous years Savanna, Australian caravan travelers who appreciate a technically advanced product will be delighted with the new 2017 Savanna DL. Produced in our Climatech SR18 all season coated polyester material, the Savanna DL provides the strength and performance that seasonal pitch awnings demand, this 2017 model awning is now fitted with the very highest quality and newly developed Techline Smoothflow zips for long lasting and trouble free use. 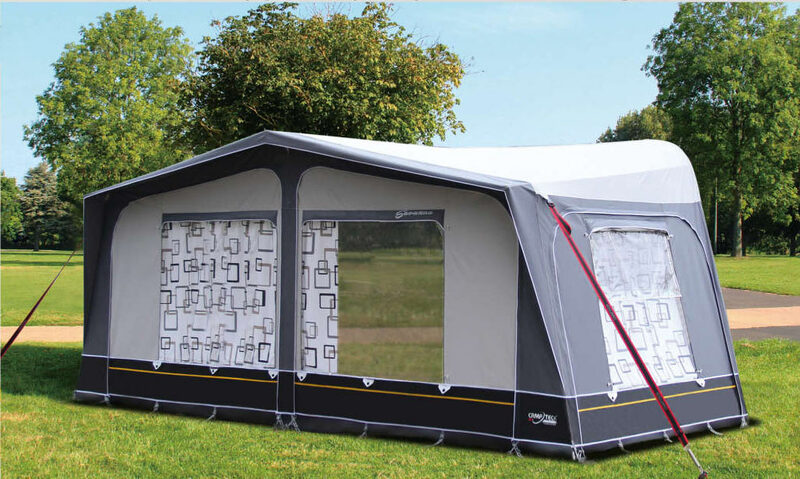 The Savanna DL awning includes a set of neutral and modern designed curtains to all internal windows along with insect screens to either end window. 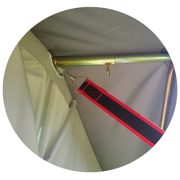 For stability, a set of Camptech Techline Secure Storm Straps are included, attach them to the buckles that are sewn near to the outside corners of the awning for additional security. Exclusive to the 2017 Savanna DL is the new CENTRE Techline Secure Storm Strap System. 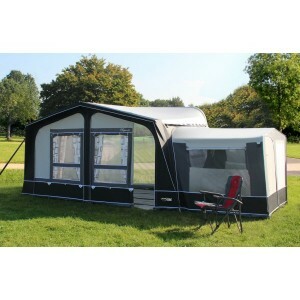 The centre bracket of this system is included with the frames and can be attached to the bracket at the front of the awning which will give you that extra stability in high wind and storm prone areas, this is something you would only use when required for additional protection, the storm strap for this centre system needs to be specified and is an optional extra. The Savanna DL comes fitted with privacy blinds such as the ones shown which are supplied as a standard factory fitted item on all windows, these roll up and tuck under the window canopies to provide a neat and tidy look to your awning windows when not in use. 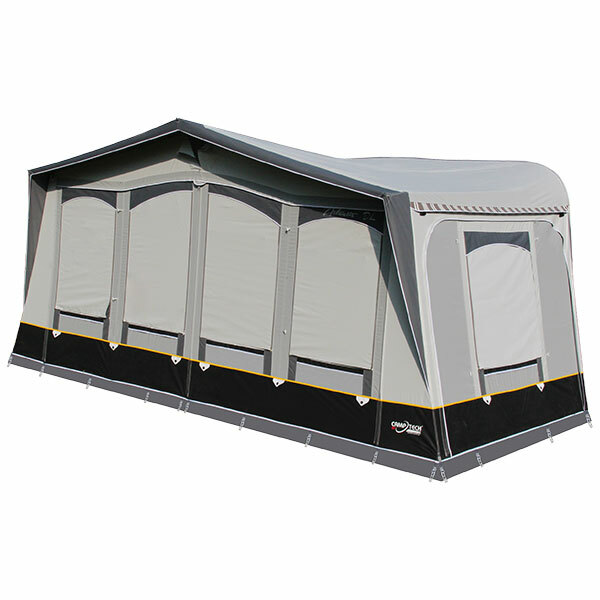 An interesting OPTION available are the Camptech annexe rooms which can be attached onto either the right or the left of your awning… or both, use for storage or as an additional sleeping area maximizing the comfort, space and privacy within your awning. Frame: 22mm/25mm steel frame fitted with unique GripLoc clamps. Also includes: Uniloc bracket pads, Techline Smooth-Flow zips, Draught Skirt, Wheel Arch Cover (with clear suction pads), Curtains, Heavy Duty Nylon Pegs, Ladder Bands, Peg bag, White Carry Sacks (for awning canvas & frame). Copyright © 2019 On Road RV. Powered by WordPress. Theme: Spacious by ThemeGrill.